We will run the competition again very soon to give you a chance to get some more snaps. See you back here again shortly. 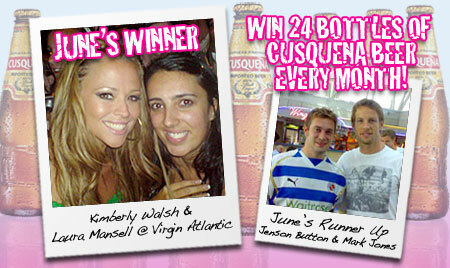 We will give away a case of Peruvian Premium Lager (24 x 330ml) to the best picture. Courtesy of our friends at Cusquena. GQ Magazine have crowned it the Krug of bottled lagers. So get snapping!! Entries will be judged at the end of each month it runs and GalleyFM decisions are final!